The Summer School registration allows staff to see and manage students and student enrollments. There are two student screens, currently enrolled students and previous students. 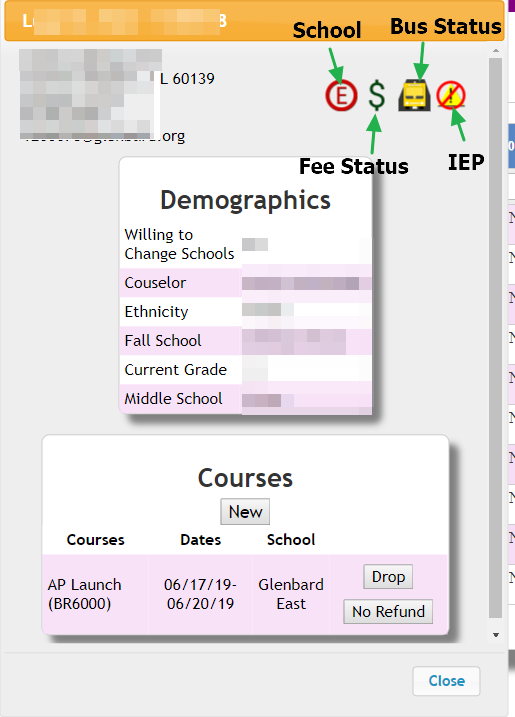 On the currently enrolled student page, the fee status can be adjusted, details can be viewed, enrollments, add/change Glenbard Id can be added/changed, and students can be moved from one account to another. 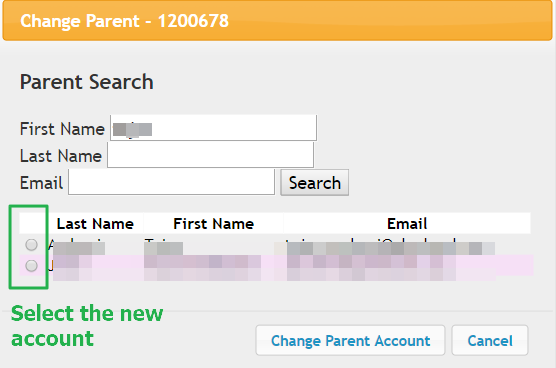 The previous student page allows a user to mimic a parent account to enroll/re-enroll a student. On the additional details screen, basic demographic information and course enrollments can be viewed. Enrollments can be added and dropped from this screen. For more information on dropping enrollments click here. Clicking on the Move Student link will transfer of a student to another account. Search for the new account and pick the account from the results below. The Old Students screen can be found on the under the Students menu. This page lists previous students that have not been re-enrolled for the current summer school year. Mimic mode allows staff to imitate a parent account. This, in turn, allows staff to re-enroll students and add students to an exisiting parent account.